Storey Publishing, LLC, 9781612121789, 232pp. Carol Ekarius is the coauthor of The Fleece & Fiber Sourcebook, The Field Guide to Fleece, and Storey’s Guide to Raising Sheep, and the author of several books including Small-Scale Livestock Farming, Storey’s Illustrated Guide to Poultry Breeds, and Storey’s Illustrated Breed Guide to Sheep, Goats, Cattle, and Pigs. She lives in the mountains of Colorado. 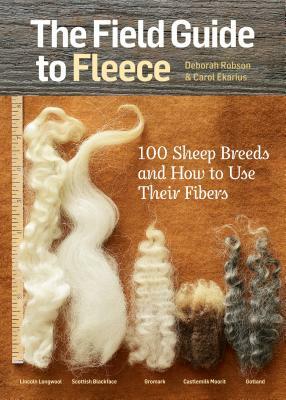 Deborah Robson is co-author of The Fleece & Fiber Sourcebook and Knitting in the Old Way. She is a former editor of both Shuttle, Spindle & Dyepot and Spin-Off magazine, and she is currently the editor and publisher of Nomad Press, which publishes books on traditional and ethnic knitting and spinning. Robson is also an artist, working in textiles, printmaking, and oils. She lives in Colorado with her daughter.